The LAVA Parallel Bi-directional has been a Lava product since 1984. Since that time, the board has gone through relatively few design changes. Other than gaining an 8-bit bi-directional mode, it is functionally identical to the original Lava Parallel. In the fast-moving world of computer hardware, that might be some sort of a record! The board has been hailed as the most reliable bi-directional product on the market with the widest range of operating system support. 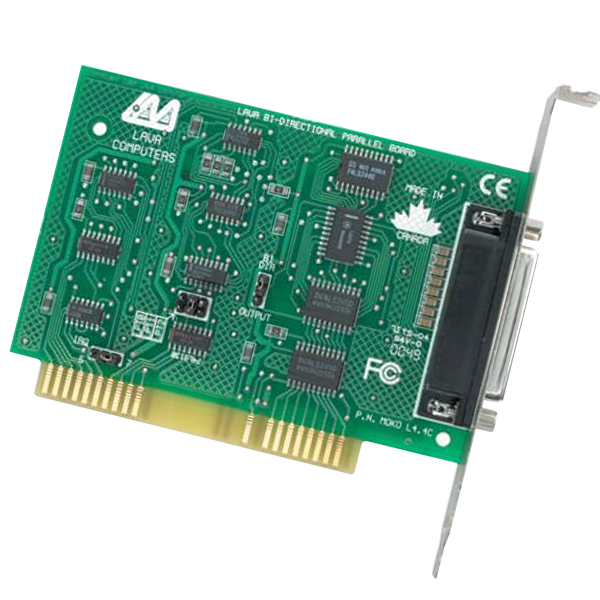 Supports DOS, Windows 3.x, Windows 95/98/98SE/NT/Me/2000/XP, OS/2, SCO Unix, Linux, etc. Drivers for the Linux environment are available for this product.